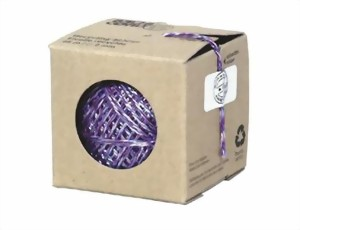 A ball of high strength recycled cotton string is housed in a recycled board cubic dispenser, with a handy built-in cutting blade. Colour of the string will vary. 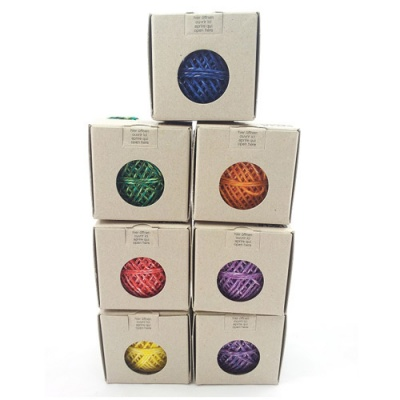 A ball of 45m long recycled cotton string, in bright colours. 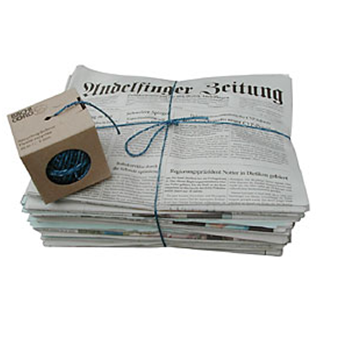 This high strength string is housed in a recycled board cubic dispenser, with a handy built-in cutting blade. Made in Switzerland. 100% pure recycled cotton made from waste material that would otherwise be discarded. The colour of the string is chosen at random.